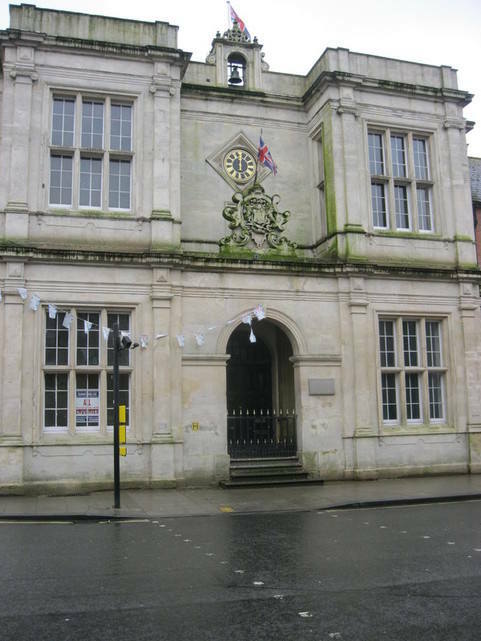 A Town Hall that takes pride of place in the market town of Warminster donated to the people by the Lord Bath family is on the books of a commercial estate agency again with an asking price of £450,000. 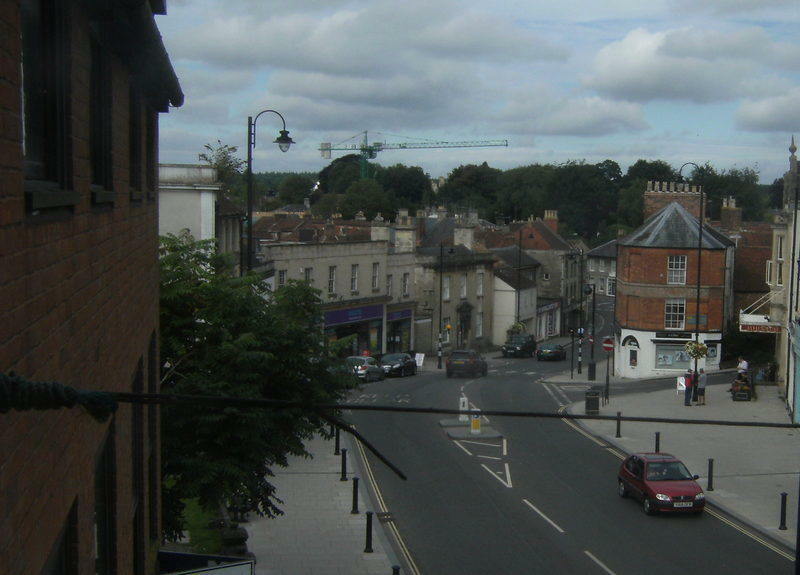 "I am always keeping my eye on the ball where this centre of civic pride in our town is concerned," said Cllr. Paul Macdonald. "I hope that a buyer with a positive vision for the town hall will emerge to take this project forward from the work of the current owner and the support he has had locally." The distinctive three-storey building that sits above a basement below street level has played many roles during its sometimes turbulent recent history. Curently the popular prestige Boston Shaker wine bar is adding to the attraction of the town centre. Ownership passed through successive local government re-organisation hands before ending up being sold off. It was once described as an 'expensive pigeon loft' by a former town mayor in a town council meeting. Since that remark it has been partly rejuvenated by a combination of local public pressure, the support of a town preservation trust, and the investment by owners and tenants in the last ten years. 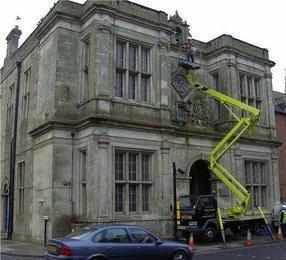 It became part of a campaign by local people who called a parish poll to stop a near £1 million refurbishment of the assembly rooms. They won the vote but the town council went ahead anyway and refused to support the town hall campaign. The grade two listed building has enjoyed a variety of planning use approvals.